Thrilling audiences, evoking wonder, joy and sheer delight are all associated with the grand manner of the Baroque era (1600 – 1750) in Europe, when theatrical performance became integral to the development of architectural style, landscape and music. Beauty was no longer expressed in music by just ‘well tuned harmonies’ but instead, erupted with a wealth of passion, light, shade and colour as the pictorial character of Baroque art was infused into its music. It became popular because people were and still are able to plug into a movement whose message was in reality a celebration of life. 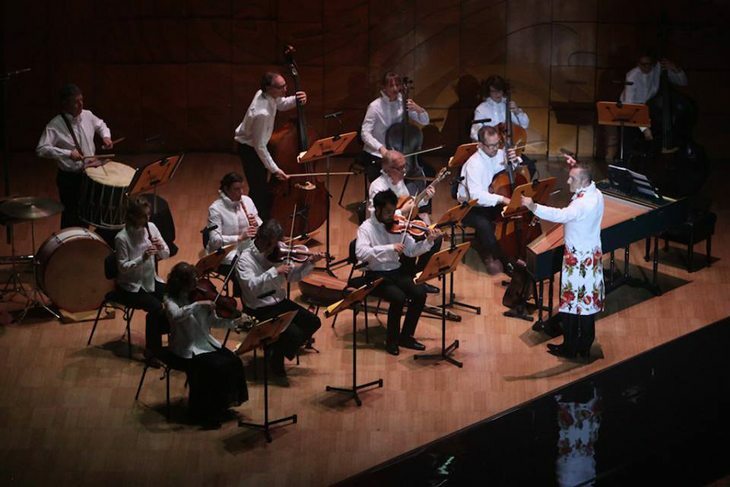 On Saturday evening 25th July 2015, for their peerless concert French Baroque with Circa the Australian Brandenburg Orchestra (ABO) at the Elizabeth Murdoch Hall in the Melbourne Recital Centre honoured this tradition, providing their followers with astounding luxe entertainment. It was award winning performance art. 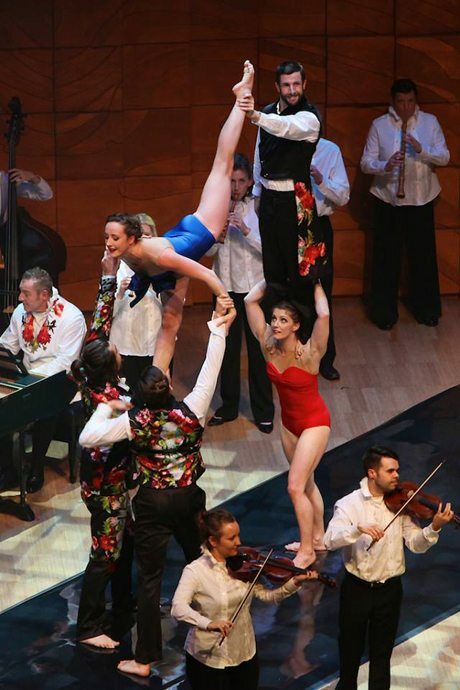 Artistic director of the ABO Paul Dyer reunited art and entertainment as French soprano Claire Lefilliâtre and Circa, an Australian troupe of Brisbane based ‘acrobatic’ entertainers embraced the dramatic musical expressiveness of the court of the Ancien Regime. 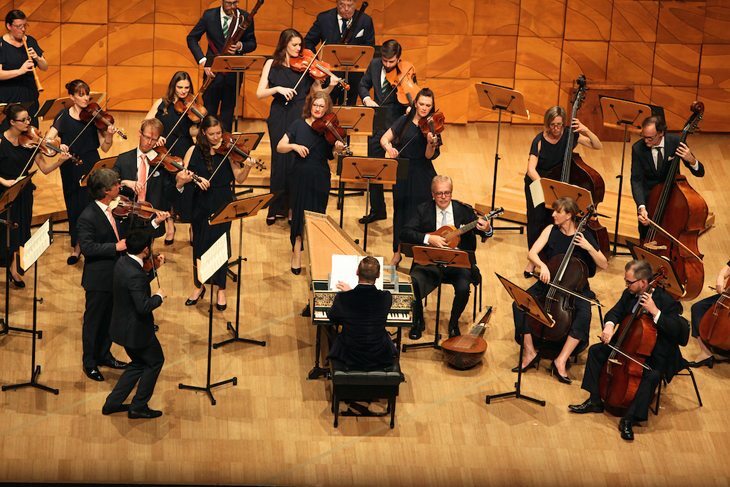 Australian Brandenburg Orchestra performers and their guests provided an elated, excited audience with a scintillating evening one truly worthy of any visionary’s audacity, especially that of a ‘Sun King’. 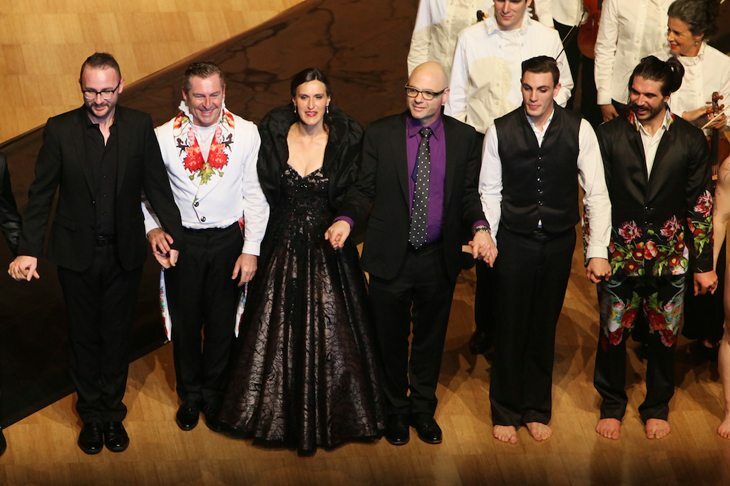 It was show-stopping, with the splendid percussion of Brian Nixon beating time we all became hooked on the ABO’s resounding version of French composer Jean Philippe Rameau’s splendid orchestral rhythmic delight Rondeau des Indes Galantes from his opera Les Sauvages. It will be sure to resonate and linger long in many memories as it became the concert’s signature tune. 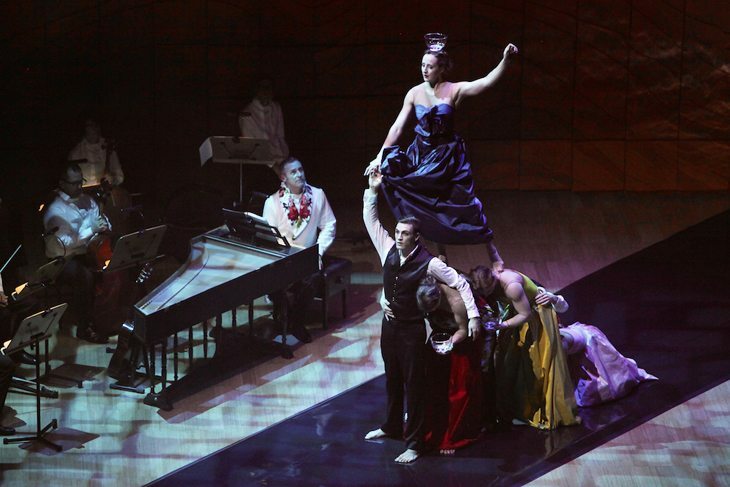 This glorious musical and movement confection was a right royal feast for all the senses. It combined the beauty of musicianship with the human voice and the amazing abilities; the sensuous shapes and rhythms of the human body. It was as if for a time we had perhaps caught a ride on a moonbeam to the stars with all around us the heavens resounding with wonder, bedazzling and beckoning us to linger longer, perhaps even forever. 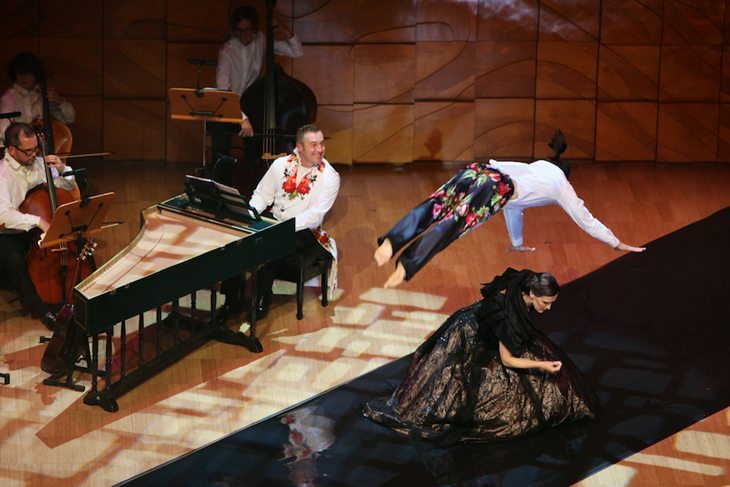 In melding Baroque music together with acrobatic entertainment Paul Dyer the artistic director of the ABO honoured the idea that art and entertainment should be just like two people in a relationship – standing independent of each other, but working with love in harmony. The concert was true poetry of the senses, filled with drama, tension, exuberance and grandeur. Orchestra is from the Greek word to dance, as the artistic director of Circa Yaraon Lifschitz reminded us all as he and Paul Dyer greeted everyone to their unique collaboration and brilliant event. These two in concert with each other produced an experience no one present will forget. By the end of the evening everyone wanted to dance out of the recital hall with joy and sheer delight. The Baroque is the period when the term ‘the world is a stage’ was created and I was reminded of a quote from Moliere’s wonderful comedic play Le Bourgeois Gentilhomme. ‘All the disorders, all the wars one sees in the world happen only from not learning music‘. Ten out of Ten doesn’t seem enough to say; the ancients considered the proportions of 1:3, 1:4, 1:6, 1:8 and 1:10 perfect, so perhaps we will have to find a new scale and place the ABO, its guests and Circa at the summit. 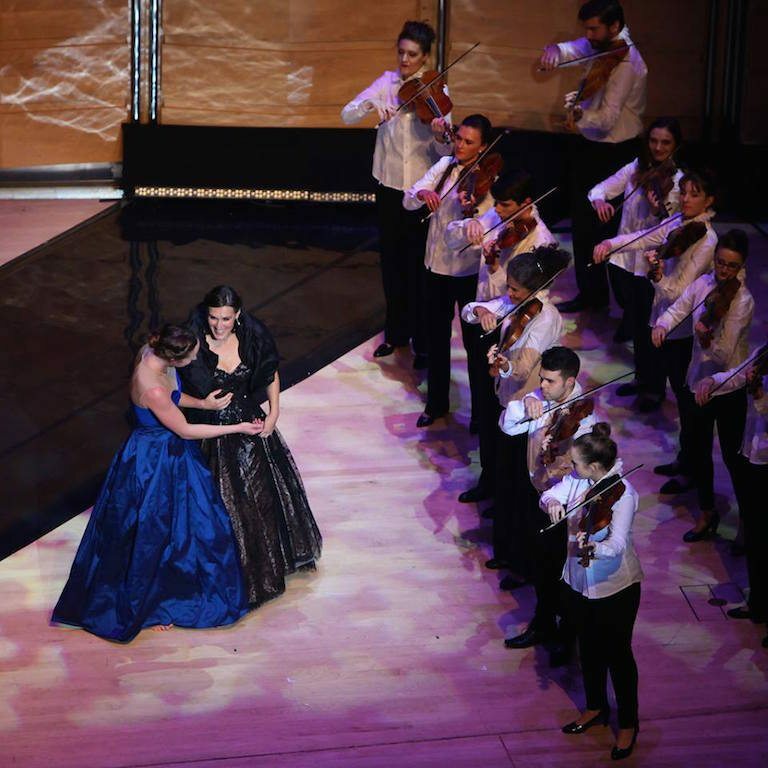 Guest virtuoso French soprano soloist Claire Lefilliâtre looked for all the world as if she had just stepped out of an elegant Parisian fashion show as she arrived on stage. She then knocked our socks of with bravura vocal agility and truly wonderful moments of delicate lyricism, the ultimate in Baroque expression. And Circa, well really, there are not enough superlatives to honour their outstanding achievement. Robbie Curtis, Jarred Dewey, Freyja Edney, Alex Mizzen, Kathryn O’Keeffe, Paul O’Keeffe and Billie Wilson-Coffey you were all awesome. My companion an ABO newby gave me great pleasure, watching as she was quite literally blown away by the magic of it all; completely at a loss for words. The evening commenced with the orchestra playing in grand style the Ouverture to Naïs composed by Jean-Philippe Rameau (1683 – 1764) and first performed in 1749 in Paris at the opera. It takes the form of a pastorale heroique, a style of music traditionally a prelude to the ballet entertainments at the French court. How wonderful it was, the perfect beginning played on the instruments of the period within the glorious acoustical space of Dame Elizabeth Murdoch’s wonderful gift to Melbourne; an architecturally successful music space. Paul Dyer conducted this superbly, maintaining the crisp execution required to punch home its poetic points. Rameau in all his musical exploits expressed the playfulness of the painterly visions of artist Jean Antoine Watteau (1684-1721), who presented images of the sophisticated pleasures of the beau monde rendered poetically. He conserved the outline and form of Louis XIV’s great composer Jean Baptiste Lully (1632-1687) adding intricate detail, ensuring that his works abounded with a wealth of harmony; a celebration of colour and theatrical brilliance. He clearly demonstrated the sensibility and clarity of the French spirit; a marriage of reason with feeling. 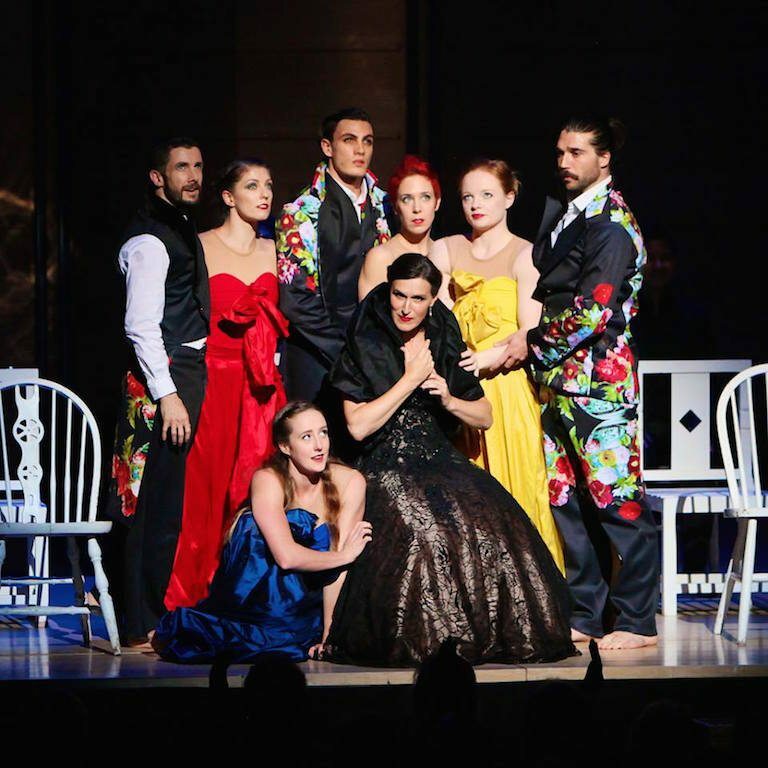 The courtly aria Di rigori armato il seno from Lully’s Bourgeois Gentilhomme, was richly rendered by Claire Lefilliâtre with beauteous restraint. Then the orchestra became entirely energized with the marvellous Suite from Les Indes Galantes. The many movements of this work are all stand alone gems. Played in succession, they provided a symphony of grace, delight, elation and elegance all rolled into one. There were against tradition, many outbursts of applause between movements. The momentum of excitement was building. Baroque music has abundance, without confusion and its musical thought embraced both temperaments and affections, with characters exuding passions that are paramount attributes for a performance artist working with material from that age. The works chosen by Paul Dyer working with Yaraon Lifschitz for this concert for the delicious pasticcio of works on the second half of the program for the Circa performers to expressively ‘dance’ to, were individually and collectively beguiling. They created an ambiance and atmosphere that transcended the gossamer haze that surrounded us, definitely flirting with the limits of our human desire. In the list of the special pieces, La lumiére de nuit by youthful Australian contemporary composer Alice Chance stands out along with a piece Les Fantomes by Paul Dyer. There was also a wonderful tribute to Louis XIV’s favourite composer Jean Baptiste Lully (1632-1687). His Le Divertissement Royal, 1664-1670: Bourrée du Mariage Forcé one of my favourite French Baroque pieces was composed by Lully in a ‘forced marriage’ with playwright Molière. It was for an entertainment given to the public at the Palais Royal Theatre in 1664 on the King’s order. 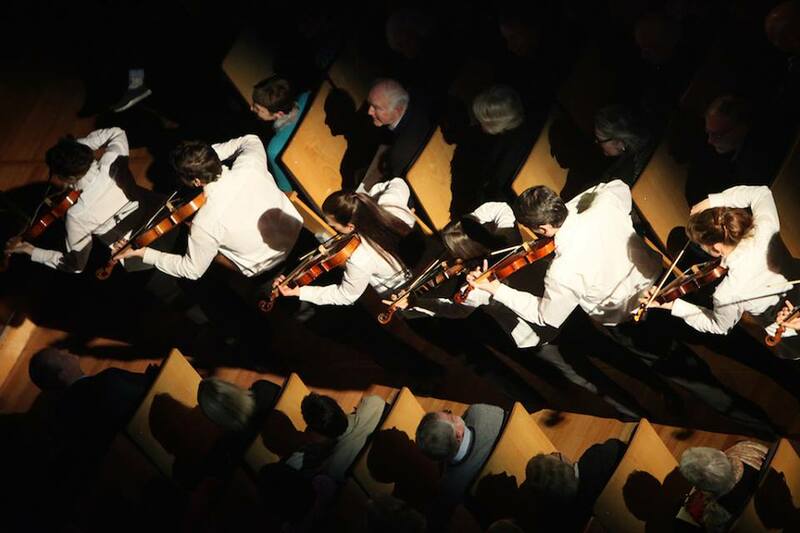 Loved the fact they brought musicians through the audience as they swelled the sound. 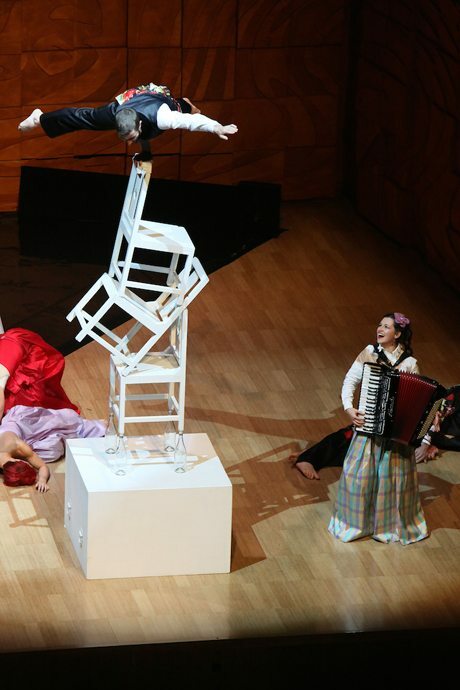 Acrobatics, the art of human performance has existed in many cultures since ancient times. Throughout the Middle Ages in Europe performers renowned for their balance, agility and extraordinary skill became attached to the courts of Europe. 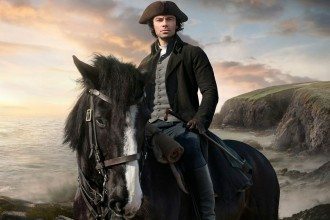 The modernity of the circus as we know it today, gradually emerged out of the hands of the aristocracy by the seventeenth century, at first based on feats of superb horsemanship. Equestrian riders providing a ‘balancing act’ for entertainment unable to ride in a straight line invented a ‘circle’ ring. Circus means Circle – and, within its confines, performers developed strength and agility that went far beyond the saddle. 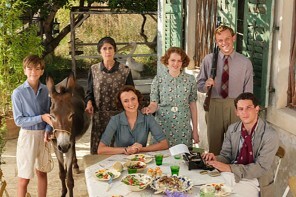 The characters as they did here, all wore distinctive costume. Adding to our pleasure was the visual delight of the men wearing floral satin insets and flower encrusted panels that beguiled with the girls embracing vibrant colours. They were watched on and conducted by Paul Dyer who looked simply sensational in his white satin dress coat highlighted and bedecked with strewn roses, surely one for the keepsake box. Girls with men perched pensively on their pelvises, skipping rope en pointe, spinning countless hoops or flying in the air on a pair of ribbons or a circle, the strength and agility of all were hard to come to terms with. The Guys were equally impressive, tumbling, diving through hoops, balancing on three chairs atop a table whose legs were inserted into glass bottles all stunts that evoked WOWs from everywhere. 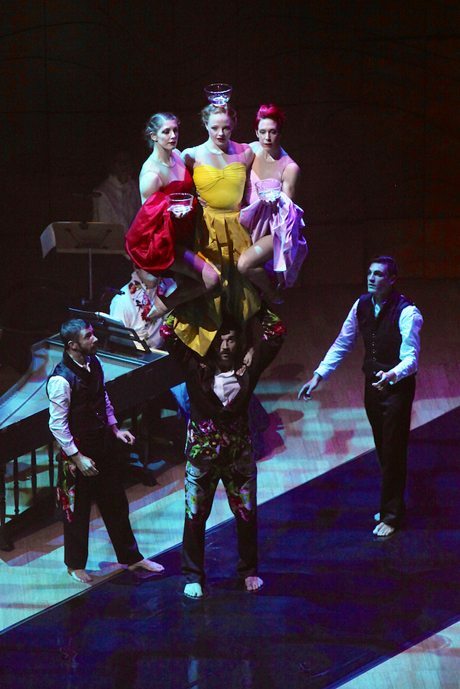 Finally, we have three women balancing on one man’s head while one of them bears aloft a bowl of water, truly an unforgettable moment. Circa‘s hair-raising balancing acts just inches away from many precious historic instruments revealed the mutual trust and bond they had forged; it was all mind boggling stuff. 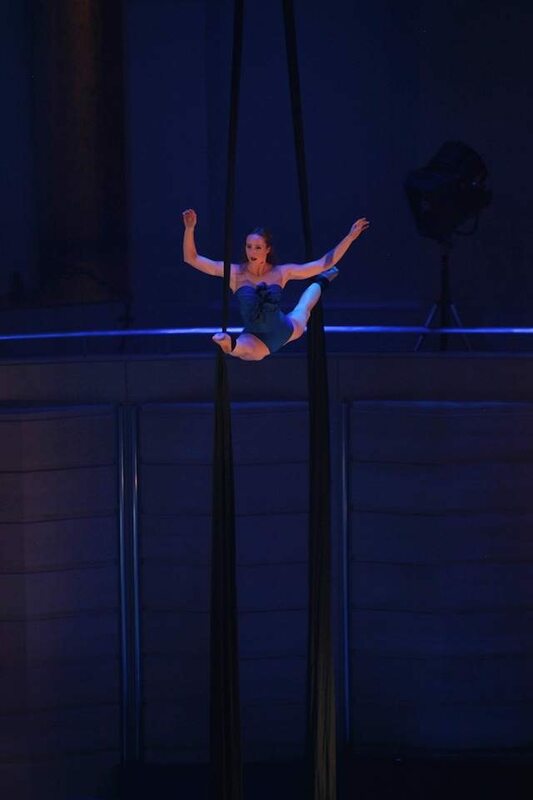 The joy Claire Lefilliatre was reflecting as she ‘danced’ in tune with the acrobats in the second half blew us all away. She lifted us up into that place where beautiful music is cherished, infusing our being with great joy for the love of life and in seemingly effortless style. She was completely compelling both to watch and listen to; her voice has a rich resonance so perfect for the music of this period. She has a dynamic range, vocal agility and is an expert at the sublime art of ornamentation. Claire Lefilliatre‘s supreme refinement of detail was captivating, especially when she sang French the splendid Hymne á la nuit from Hippolyte et Aricie by Rameau with three members of the Brandenburg Choir Richard Sanchez, Mark Nowicki and Philip Murray, again taking our breath away. Paul Dyer was inspired by the film Les Choristes to include it. 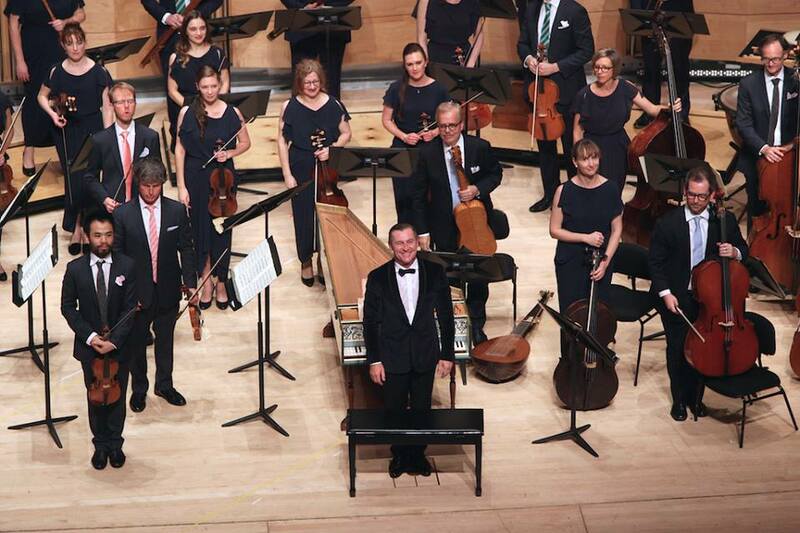 What a fabulous evening of pure escapist bliss for all Baroque enthusiasts. The ABO is composed of seriously good players, many of whom deserve to be legends in their own right and deservedly the acclamation for all players and performers was thunderous. All the music played on the night would be worthy of a sublime concert of its own. 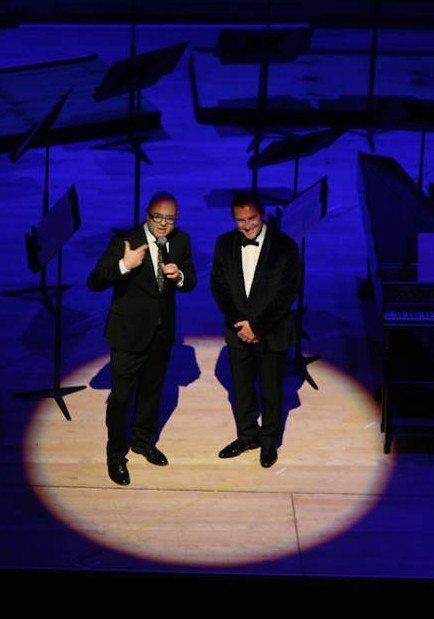 Shaun Lee-Chen led the musical charge, borrowed from the West Australian Symphony as Guest Concertmaster. His timing and playing was impeccable. Notable stand out performances were the two girls Melissa Farrow and Mikaela Oberg on Baroque Flute, Kristen Barry and Owen Watkins on Oboe and Paul Dyer himself, whose energy and commitment to his art is admirable and infectious. I loved that the awesome accordion of Emily-Rose Sarkova was added into the mix, giving that very French Montemarte flavour, providing us all with a lasting impression of what was surely a perfect performance. 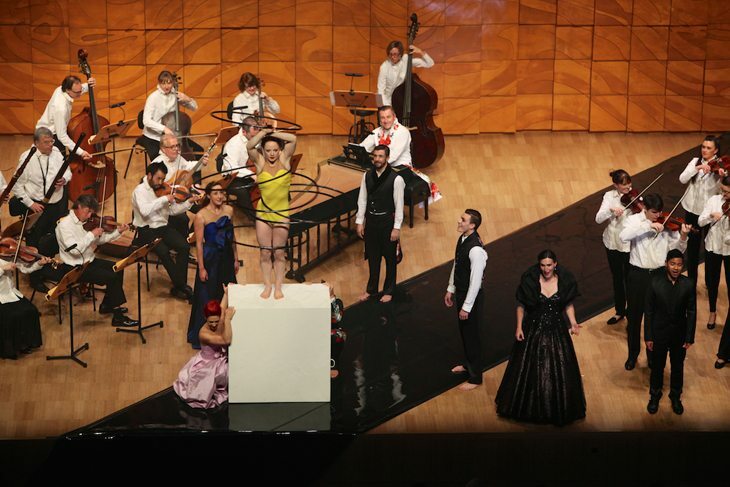 The Australian Brandenburg Orchestra’s French Baroque with Circa celebrated the beauty of bodies and song entwined in an intricate and seductive dance celebrating the joy of life. A well deserved standing ovation simply wasn’t enough to express how we felt and all the people around us were cheering and shouting wildly with complete abandon…we all left on a high note, what a joy, what a triumph. This was a triumph, transporting all to the court of the Sun King with all its colour, brilliance and exuberance. One just had to give one’s self over to the sheer spectacle and indulgence of sight sound and movement and breathless amazement at the musical intensity of all the performers and their wonderful rapport with each other. Thank you to all and especially the vision of the producers who gave birth to this concept, French Baroque with Circa. Thank you, Thank you To Paul Dyer and orchestra for the many wonderful concerts you provide us with. I have been subscribing for 25 years and can honestly say that I have never been disappointed. BUT French Baroque with Circa was JUST THE MOST AMAZING AND EXHILERATING ENTHRALLING OF THEM ALL. I came away totally “STOKED” & AMAZED THAT I COULD BE SO MOVED ON SO MNY LEVELS BY THAT PERFORMANCE. Thank you again.